After studies with the Quatuor Ysaÿe in Paris and with Gábor Takács, Eberhard Feltz and György Kurtág, the quartet had an unprecedented victory at the ARD Music Competition 2004. This marked the beginning of their rise, which has culminated in numerous prizes and awards. 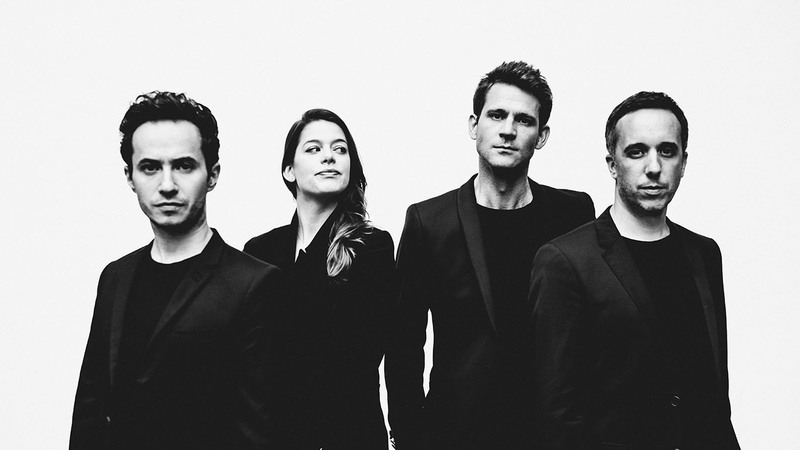 The Quatuor Ebène’s concerts are marked by a special elan. With their charismatic playing, their fresh approach to tradition and their open engagement with new forms, the musicians have been successful in reaching a wide audience of young listeners; they communicate their knowledge in regular master classes at the Conservatoire Supérieur Paris. The quartet was one of the award winners of the Borletti-Buitoni Trust in 2007 and received support from the BBT between 2007 and 2017. In 2005, the ensemble won the Belmont Prize of the Forberg-Schneider Foundation. Since then, the Foundation has worked closely with the musicians, who are performing on instruments chosen with and loaned by Gabriele Forberg-Schneider since 2009.